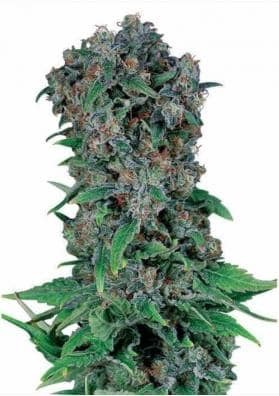 Feminized Gea Seeds Lima Haze marijuana seeds have good yields and a high THC content. High medicinal value and citrus lemon flavor with sweet notes and incense aroma. A wonder for your taste buds at an unbeatable price. The feminised Lima Haze seeds from the GEA Seeds Bank are a predominantly sativa hybrid, which has arisen from the cross between a Haze and an Amnesia Lemon. This exceptional strain has a high THC percentage, which makes it highly demanded for its therapeutic effects. It gets stress release and appetite stimulation, which come in handy to help combat disorders such as anorexia or benefit from its effects in treating diseases such as HIV. The feminized seeds Lima Haze, have a vigorous growth and will give rise to a plant of medium-high size because of its sativa dominance. The overall structure of the plant is conical and its internodal distances are moderate. Cultivation in SOG, SCROG and LST will benefit you and produce very resinous and elongated perfumed flowers. The yield of this strain is very good and in addition, its flowering period is reduced if we compare it with other Haze strains that precede it. If you grow indoors, you can harvest 600 grams per square meter in 70 days maximum. Outdoors you will have your crop ready approximately two weeks after the end of summer, reaching 900 grams per plant. The effects of Gea Seeds' feminized Haze Lima are very powerful and fast. Although psychoactive and cerebral, the sensation it gives is one of happiness and it even helps to stimulate your creativity. Nothing to be stunned because it is very good for social life and enjoy with friends. You will be happy and relaxed, but not asleep! Of its aroma and flavor you have already made an idea, citrus of course, throwing lemon predominantly, but you will notice very sweet notes and an aftertaste of incense as good Haze and producer of smoke very dense and white, very fragrant. Genetics: Amnesia Lemon x Haze. Flowering: 60-70 days indoors, two or three weeks after the end of summer outdoors.